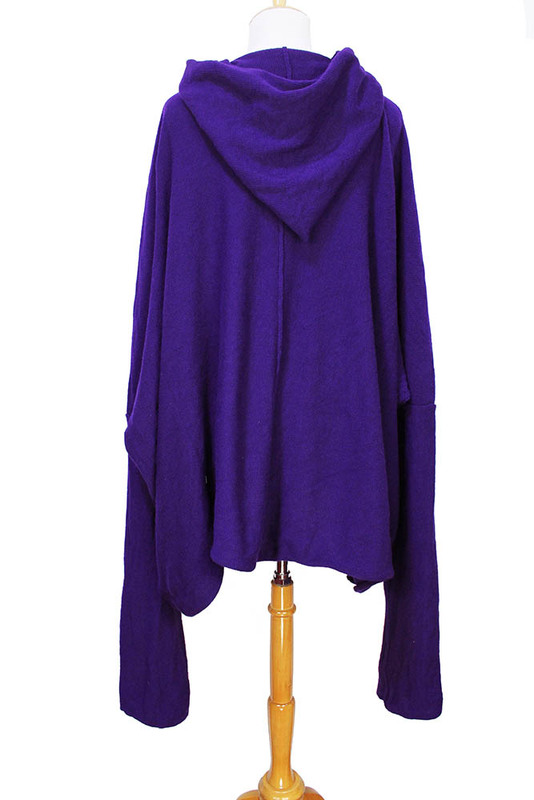 Barbara Bologna 'Big Knit Hoodie' in violet. Very wide and with very long sleeves to create a brilliant drape and gathered sleeves. Knitted hood. Sea details down front and rear. Lovely piece.